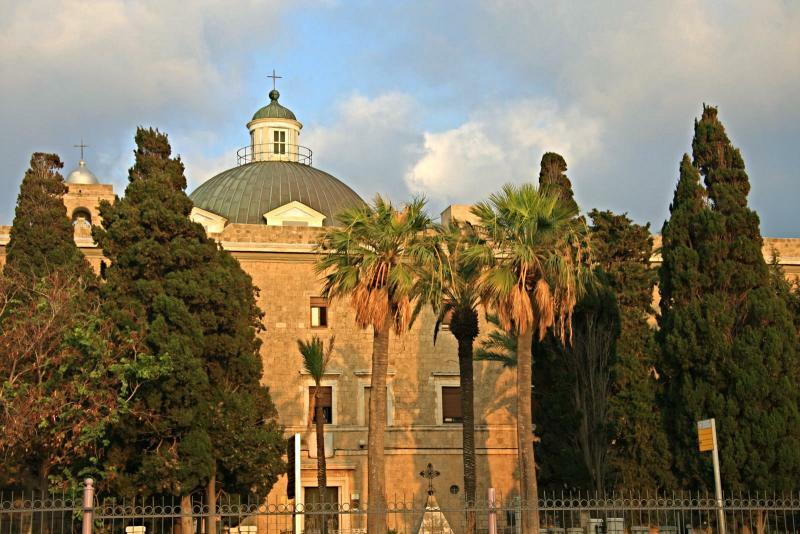 Perched at the western edge of Mount Carmel, high above the Mediteranean and the coastal city of Haifa, is Stella Maris Monastery and church. The name of the 19th-century monastery — Latin for “Star of the Sea” — refers not to the magnificent view, but rather to an early title accorded Mary, the mother of Jesus. The monastery is the world headquarters of a Catholic religious order of friars and nuns, the Carmelites. The order had its origins at the end of the 12th century when St Berthold, a Frenchman who had gone to the Holy Land as a Crusader, had a vision of Christ denouncing the evil done by soldiers. Berthold gathered a small community of hermits around him, living in caves on Mount Carmel, in imitation of the Old Testament prophet Elijah. Later the community became known as the Hermit Brothers of St Mary of Mount Carmel. In 1206 the community received a written rule from St Albert of Jerusalem. In the same century, some members moved to Europe and established similar groups from Sicily to Oxford. Those who remained in the Holy Land were massacred by the Saracens in 1291. Carmelites returned to Mount Carmel in 1631 and finally completed the Stella Maris Monastery in the 18th century. Its stout walls and small openings reflect the need for defence against hostilities during its establishment. Later a lighthouse was built, giving a further meaning to the title Stella Maris. Because of its commanding position, the lighthouse has been commandeered as a military establishment. Inside the church, the décor features vividly coloured Italian marble and dramatic paintings in the dome, one depicting Elijah being swept up to heaven in a fiery chariot. 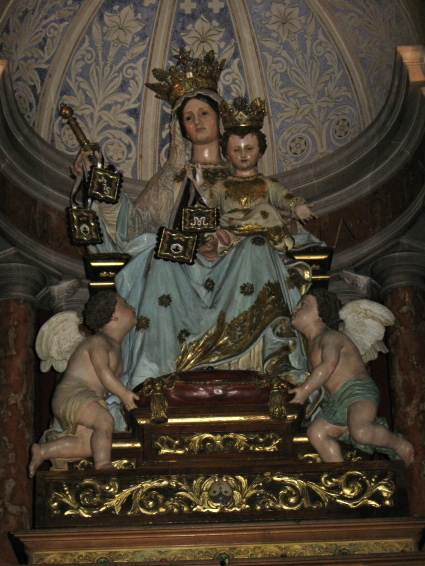 A cedar and porcelain statue of Mary, Our Lady of Mount Carmel, is above the altar. Steps lead down to a grotto, with a small altar, where the Old Testament prophet Elijah is believed to have occasionally lived. People have lived in caves on Mount Carmel since prehistoric times. Opposite the monastery, a steep footpath down toward the Mediterranean leads to a larger grotto, Elijah’s Cave, where the prophet is said to have meditated before his victory over the prophets of Baal, described in 1 Kings 18: 1-40. 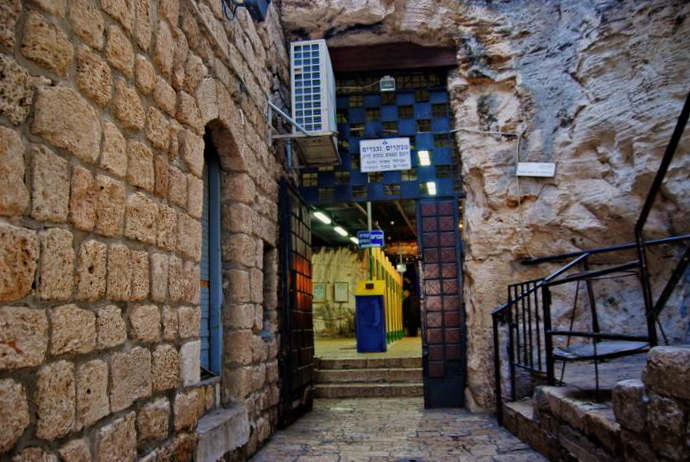 The cave — which is venerated by Jews, Christians and Muslims — is also thought to be where Elijah established a “school of prophets”, where his successor Elisha, among others, studied. 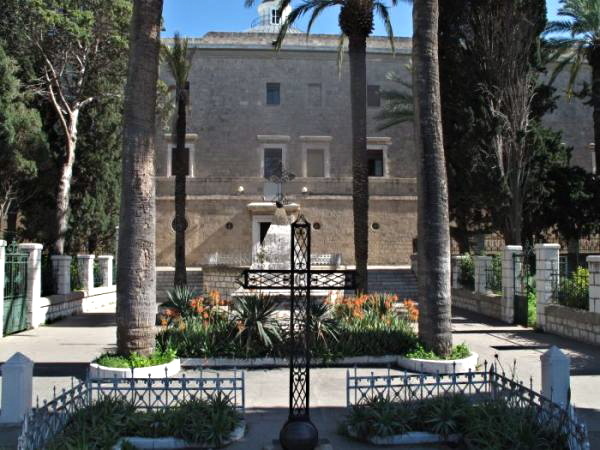 In the garden of Stella Maris Church, a monument is dedicated to wounded French soldiers who were killed by the Mamluk governor Ahmed Pasha el-Jazzar after Napoleon withdrew in 1799. The caves of Mount Carmel were well known to Elijah, the Old Testament prophet. Here he sometimes lived — and sometimes had to hide. On the northern slope of Mount Carmel, near the Haifa beach, is a cave where the prophet is believed to have meditated before his fateful encounter with the priests of Baal. In this encounter, described in 1 Kings 18:1-40, Elijah issued a challenge to 450 pagan priests. Before an assembly on the summit of Mount Carmel, he called on the priests to seek fire from their god Baal to light a sacrifice. When Baal failed to respond to their pleading, Elijah rebuilt the ruined altar of the Lord and offered his own sacrifice. Immediately fire from heaven consumed the offering, even though it had been soaked in water. Elijah’s Cave can be approached by stairs from Allenby Road, near Haifa’s cable car. It is also accessible down a steep path from the Carmelite church on Stella Maris Road. The cave, about 14 metres long, is situated in a residential dwelling. It is open to the public, with separate areas for males and females. Adjacent buildings served as a hostel from the late 19th century. Elijah is venerated by Jews, Christians, Muslims and Druze, all of whom come as pilgrims. Writings left by pilgrims in past centuries can be seen on the cave walls. Curative properties have been ascribed to the cave over the years, including the curing of mental illnesses. Among the traditions associated with the cave is that Elijah hid here from the wrath of Jezebel, who had introduced worship of her Phoenician god Baal to the land. It is also thought that Elijah established a “school of prophets” here on his return from exile at Mount Sinai. If so, this would be where his successor Elisha, among others, studied. No Old Testament prophet is referred to as frequently in the New Testament as Elijah. Both Jesus and John the Baptist were on occasions thought to be reincarnations of Elijah. A small cave under Stella Maris Monastery, at the western edge of Mount Carmel, is held by a Christian tradition to be a place where Elijah also occasionally lived. The prophet Elijah’s fire-lighting challenge — one of the Old Testament’s most spectacular contests between Yahweh, the God of the Israelites, and a pagan deity — took place on the south-eastern summit of Mount Carmel. Stretching south-east from the Mediterranean Sea, with the city of Haifa sloped against it, Mount Carmel is actually a coastal range rather than a mountain. From ancient times it was considered a sacred place. It is often cited in the Old Testament for its beauty and fertility. The 6th-century Greek mathematician Pythagoras is recorded to have visited the mountain because of its reputation for sacredness, stating that it was “the most holy of all mountains, and access was forbidden to many”. Elijah’s challenge came during a period after successive kings “did evil in the sight of the Lord” (1 Kings 16:30). King Ahab had married the Phoenician princess Jezebel. She turned his allegiance from Yahweh to her god Baal and had Yahweh’s prophets slaughtered. So Elijah called on Ahab to assemble the 450 priests of Baal on Mount Carmel. There he challenged the priests to call on fire from Baal to light a sacrifice. As the book of 1 Kings relates, Baal failed to respond to the priests’ cries. Then Elijah rebuilt the ruined altar of the Lord and offered a sacrifice. Immediately fire from heaven consumed the offering, even though it had been soaked in water. On the south-eastern peak of Mount Carmel, the site is now known as Muhraka (“the Scorching”). 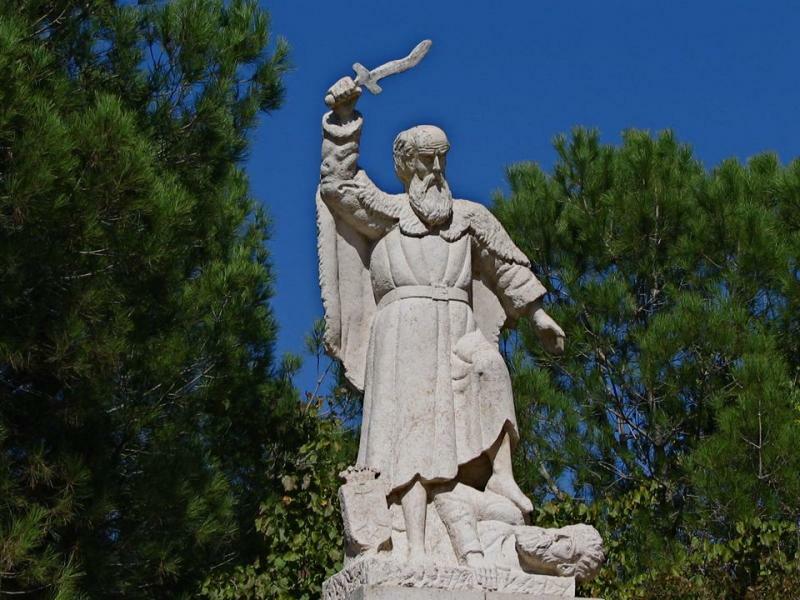 It is marked by a dramatic stone statue of Elijah, sword raised to heaven as he slaughters a Baal priest, and a small Carmelite monastery, surrounded by a nature reserve. 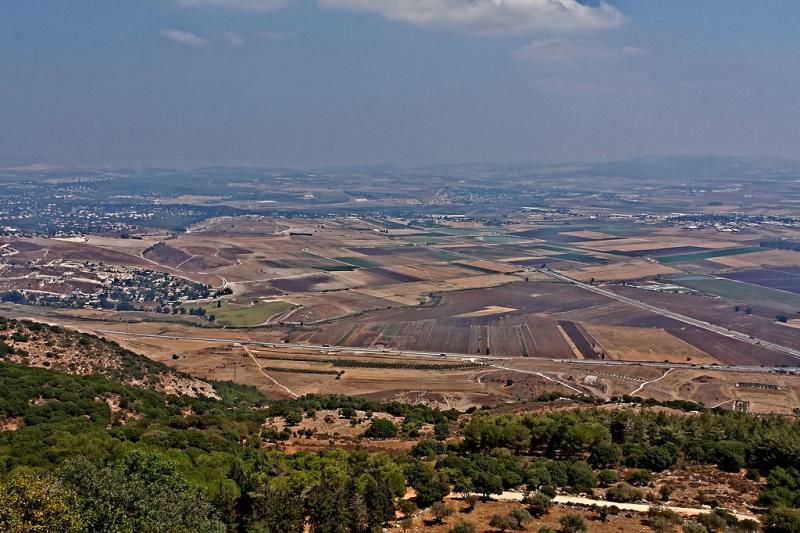 A superb view takes in the plain of Esdraelon and southern Galilee. On the plain below is the Kishon brook, where Elijah took the priests of Baal and had them put to death. At the western edge of Mount Carmel is Stella Maris Monastery, the world headquarters of the Carmelites, a Catholic religious order. A small cave under the monastery is held by a Christian tradition to be a place where Elijah occasionally lived — as people on Mount Carmel have lived in caves since prehistoric times. Opposite the monastery, a footpath down towards the Mediterranean leads to another grotto called Elijah’s Cave. Here the prophet is said to have meditated before his encounter with the priests of Baal. 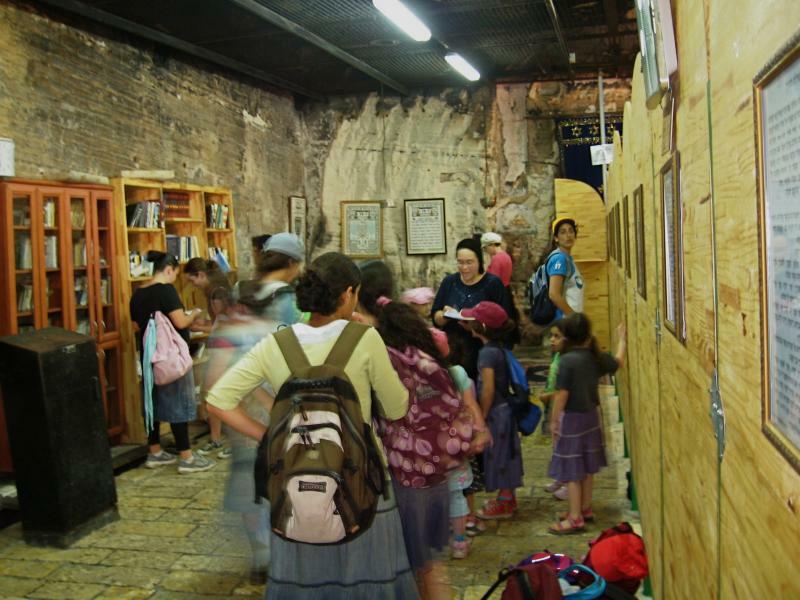 The cave is also thought to be where Elijah established a “school of prophets”. 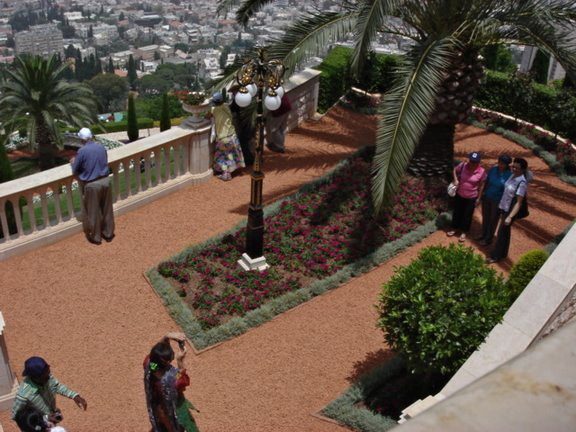 Mount Carmel’s most spectacular religious memorial, however, is the Baha’i Shrine of the Báb, which runs in manicured terraces up the northern slope. The site is a sacred place for Baha’is around the world. 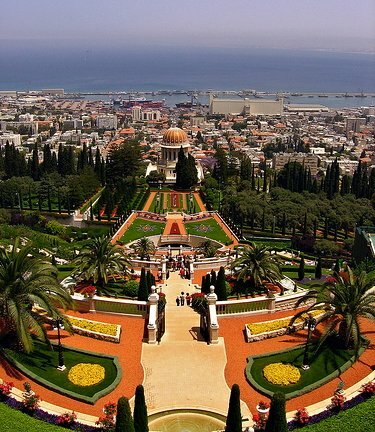 A golden dome, marble walls, granite pillars and manicured gardens cascading down a slope of Mount Carmel make the Baha’i Shrine in Haifa a spectacularly colourful attraction for visitors. The shrine is the world headquarters of the Baha’i faith, a monotheistic religion committed to the unity of humanity and the fundamental oneness of all religions. The shrine, built in 1953, contains the remains of Siyyid Al Muhammad (1819-50). Known as the Bab, he is revered as the prophet-herald of the Baha’i faith. The shrine’s nine sides represent the nine major religions of the world. Its dome is covered with 14,000 gold-coated bricks. Around the shrine are several other buildings of classical design, including the Universal House of Justice, the seat of the Baha’i governing body. The shrine and its elaborate gardens are an important place of pilgrimage for Baha’is, who number more than 5 million worldwide. They also attract many tourists. The terraced gardens surrounding the shrine were designed by Iranian architect Fariborz Sahba and inspired by doctrines of the Baha’i faith. They are often called the Hanging Gardens of Haifa. There are 19 terraces, one for the Shrine of the Bab and the remainder representing the Bab’s first 18 disciples. The gardens are designed in nine concentric circles resembling waves extending out from the shrine. They include works of stone and metal as well as fountains, shrubbery and expansive lawns. The irrigation system is computer-controlled. The computer operates hundreds of valves to distribute water throughout the gardens by sprinkling and dripping, based on meteorologic data it receives. The irrigating is done at night and in the early morning, to avoid wasting water by evaporation. 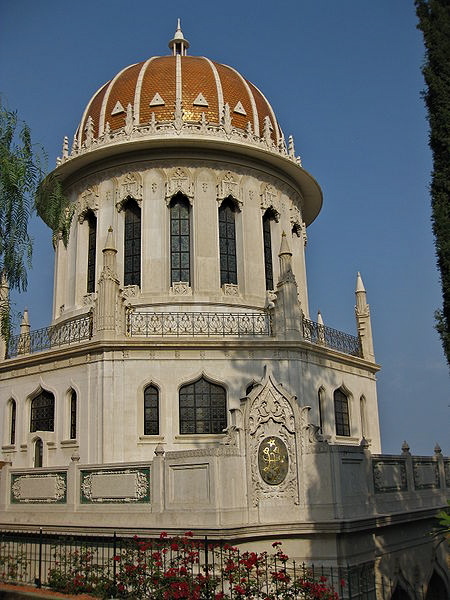 Siyyid Al Muhammad, whose remains are in the Baha’i Shrine, is regarded as the forerunner of the Baha’i faith. In 1844 he proclaimed the imminent arrival of the Promised One, a messianic figure expected by Shi’a Muslims in Persia, and he became known as the Bab (the “Gate” in Arabic). He and his followers were persecuted and the Bab himself was executed by a firing squad in 1850. His remains were later brought secretly to Israel and were interred in the Mount Carmel shrine. The Baha’i faith was founded by the Bab’s chief follower, Mizra Hussein Ali, who in 1863 claimed to be the Promised One. He became known as Bahá’u’lláh (“Glory of God”). Bahá’u’lláh’s insistence that diversity of religion should cease and differences of race be annulled inevitably provoked violent opposition. He was expelled from Tehran and in 1868 the Ottoman penal colony of Akko (now Acre) became his final place of exile. He died there in 1892. Baha’is believe in one God and emphasise the spiritual unity of all humankind. They see Abraham, Jesus, the Buddha and Muhammad as messengers whose teachings were fulfilled by Bahá’u’lláh’s life and work. Beautiful gardens also surround the grave of Baha’u’llah at Bahji, just north of Acre (Akko). Open: Shrine 9am-noon; gardens, 9am-5pm daily. Entry is free.